Ahmedabad, Dec 6: The Congress on Tuesday hit back at BJP President Amit Shah over Ayodhya issue in the apex court, saying if a party is sought to be blamed for a lawyer representing a side in a case, then Finance Minister Arun Jaitley should be dismissed for having appeared for Dow Chemicals in the Bhopal gas tragedy case. 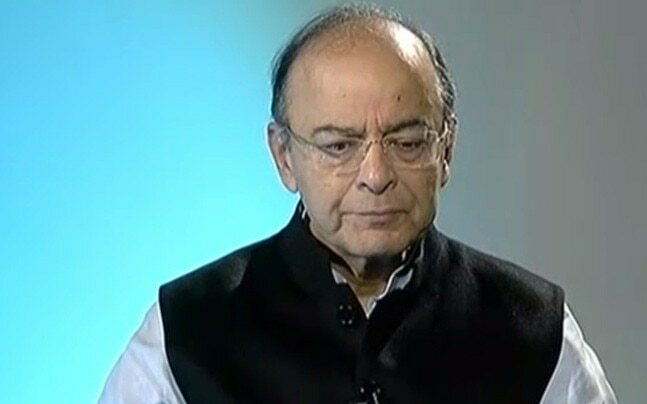 "If a lawyer from a political party represents any party (in a case) can attract blame for his party, then will Arun Jaitley be dismissed from the government and also from the party?" Congress spokesperson Randeep Surjewala told reporters here. He was responding toAmit Shah's latching on to lawyer and Congress leader Kapil Sibal's plea for deferring hearing the Ramjanambhoomi dispute case till after the 2019 Lok Sabha elections and asking party Vice President Rahul Gandhi to clear the Congress stand on the Ram temple issue. Surjewala said Congress' stand on Ayodhya issue has always been clear. "The Ayodhya case will be decided by Supreme Court," he said, adding "BJP is playing the role of Manthara (a character from Ramayana known for negative influence)." Attacking Prime Minister Narendra Modi and Amit Shah for raking up "irrelevant issues", the Congress spokesperson asked them instead to give an account of their 22-year rule in poll-bound Gujarat on the issue jobs, farmers' distress, problems of youth and reservation for Patidars. Modi is reverting to "Mughal Raj", "Aurangzeb", "Tughlaq", Pakistan, Afghanistan, China to divert attention from real issues, Surjewala alleged.